Hello everyone! Happy holidays to you!! I’m so excited today because I have a special treat for all of you. I wanted to encourage you with a word from my husband, Pastor Mike Freeman. He has such a heart for the people of God and I know that his words will empower you and impact your life like it has mine for over 30 years now. This will be my last blog until the second week of January. 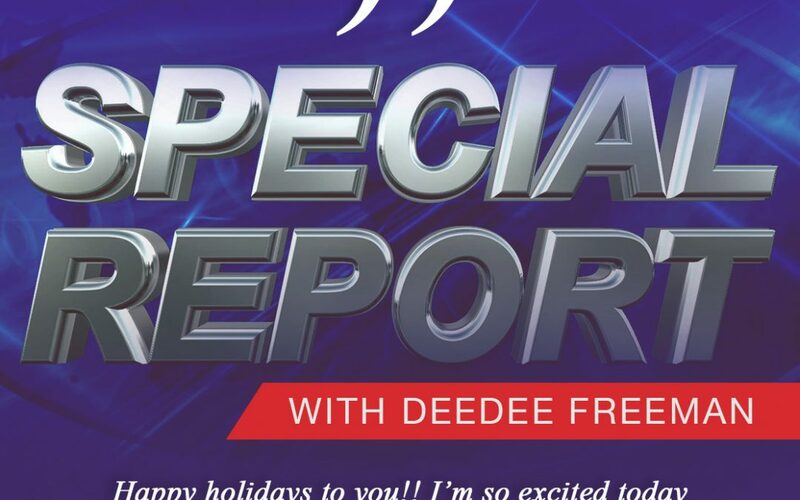 I thought it would be an awesome way to enter into our short break by allowing him to share a special report as we conclude this holiday season and enter into a new year. Mike is my head, my covering, my man of God as well my husband in whom I am well pleased. If you love me you will love him because I am truly a product of the teachings that have come out of his mouth. Listen, don’t forget to post your prayers on the prayer wall so that my team and I can be in constant faith with you until we see the manifestation of those things that you are believing God for. Also remember God’s Glamorous Girls is in July. I have given all of my subscribers an invitation to a private party. If you have not already, please make sure you sign up by CLICKING HERE. I love all of you guys so much. Thank you for being a blessing to me by reading the blogs. I read all of the comments, and appreciate you so much. Give the gift of love this season and don’t allow anybody to put pressure on you to go and spend money on something you do not have money for. Lastly, for next year our Pastor has decreed it to be the year of “CHANGE” so, I speak that same word to you. Get ready by defining what change looks like to you and set yourself to receive what God has for you in this new year. I LOVE YOU AND HAPPY HOLIDAYS!! P.S. Ignore the grandkisses yelling in the background! The parents wouldn’t help us!! LOL!! Thank you so much for sharing that encouraging word from Pastor Mike. Enjoy the holidays with your loved ones. Looking forward to hearing from you in the new year! The family photo is absolutely beautiful!!! Merry Christmas and Happy New Year to MY Pastors. Thank you for the deposits that you have made in my life. I love you and I am truly grateful to have the blessed pleasure of serving in the ministry that God birthed out of the two (oneness) of you. Hugs and kisses from the Chandlers (yes!! !….your favorite children😆😆😆😍😍😍). These are words of encouragement for any situation of loss a person may be in. Thank you. I am excited about the up coming year.I look forward to the many great changes in my lofe.God bless Dr Mike ,Dr. Dee Dee and the entire Freemand and S.O F C family! Thank you, Happy Holidays to you all as well!!! Love you and see you next year. This meant so much. It’s an awesome way to realize that my parents are spending Christmas in Heaven. I miss them so much. Thanks Pastor Mike gor sharing and thank you Dr. Dee Dee for having a Heart for women. May your Holiday season be filled with an abundance of blessings and much love. Thanks for your inspiration, prayers, and guidance. Thank you for that wonderful word of encouragement you allowed Dr Mike to speak! The Christmas card this year is really beautiful ! The family is really growing . Have a wonderful Christmas ! Aww,thank you Pastor for the Word. I shall not let my heart be troubled. I am ready for change as I go into my changing place of 2017. I love you and Dr.DeeDee for all that you have taught me over the years and spoken into my life. Both of my parents are gone, so as receiving the two of you as my spiritual parents I could not have anyone better to train me and prepare me for what God has in store me. Once again thank you, and I pray the blessing of the Lord to continually be upon your house. Merry Christmas and may God continue to bless you and your family in the New Year. Thank you for the encouraging words!! Dr. Dee Dee and Pastor Mike, thanks for sharing and thanks for all you do. We love and appreciate you both so much. 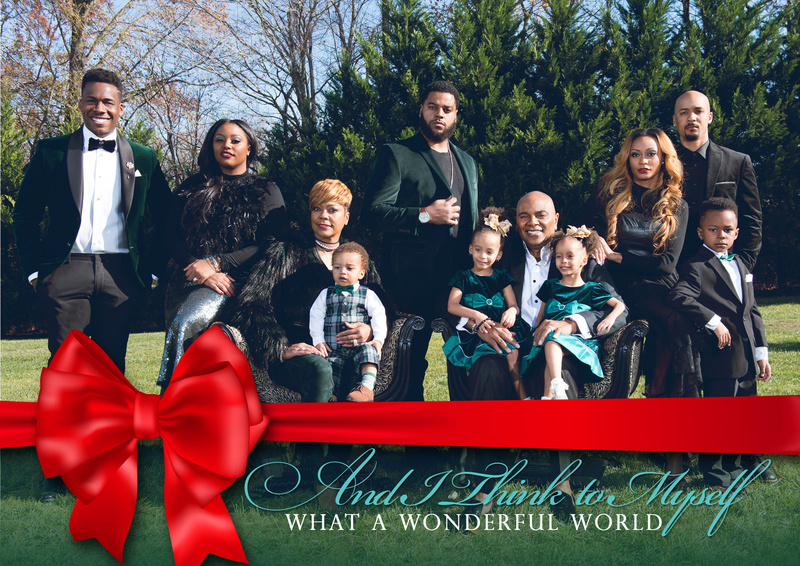 Beautiful family Christmas pictures!!!! MERRY CHRISTMAS from 🇩🇪 Germany!!! It’s been so, so, so, many years that my mother has been resting in heaven. but I miss her. Thank You for sharing. God Bless. MERRY CHRISTMAS. Thank you Drs DD and Mike. You two mean so much to me. I am blessed to still be here fighting the good fight of faith. Please pray for my husband been contemplating some things. I love how Pastor Mike is leading that family I’m praying for the same. We use to watch MarriageMadeEasy all the time. Your family took a beautiful portrait. Grace and Peace multiplied to you all. I Love you all too. Thank you for sharing this! Both of my parents are in heaven & they live on through me & the traditions I share with my own adult children. My mother always had new pj’s, robe & slippers for me at Christmas. I always looked forward to it. Now that she’s gone, I do the same for my children & their children. They get new pajamas on Christmas eve…a tradition from my mother…and even at 32, 27 & 25, they look forward to receiving their new PJs and watching “It’s a Wonderful Life” with me, that is filled with so many spiritual messages. Each life touches another life touches another life. We are connected & despite the constant attacks of wickedness, goodness always prevail. Darkness cannot comprehend light. And from my dad, we make salmon cakes & potatoes for breakfast…and with every bite, I feel his presence & see his joy from serving others. I’m immensely blessed. So thank you for this encouraging Word! May you both continue to grow in the things of God as mountain movers, faith walkers & living examples of the manifestation of God”s Kingdom here in the earth. Merry Christmas! Beautiful Nina, as I read I envision PJs… I tasted the salmon cakes… priceless memories. Have an awesome Christmas… this touched me. Love this message and the message last week. Both touched my heart dearly. What a timely message and thank you Pastor Mike! My husband Jeffrey is struggling this year due to the lost of his mom unexpectedly in September this year, his sister( that was just like his mom) is in the nursing home for having several stokes that left her paralyzed on the left side. It’s hard seeing him like he is, he has lost weight and been diagnosed of being depressed. I continually pray for him. Our daughter brought us tickets to visit her and her husband for 2 weeks and I hope and pray this trip will boost his spirits. Thanks so much Drs. Mike and DeeDee. Coming up on a year in January having lost my sister in a car accident. I miss her so much but I’m making the choice to rejoice. I love you guys! What a beautiful message and Christmas photo! God bless you all for your labor and love toward the saints! Merry Christmas and Happy New Year! Always! Always! A Blessing! Thank you!!! Awesome, Word thank you for encouraging our heart Merry Christmas !!!! Shalom and Joy to the world, I love you guys and thank God for you all daily.! XO The family Christmas Picture is Boss! I love it!! Thanks Dr.Dee Dee for sharing Dr.Mike with us. The both of you. are so Special and Blessed. I record the message every day and desiring to be there.Please pray for me.I need a miracle in my life now. I do trust my God.For some reason I’m going through a ruff time right now. And please lift up my son Dallas Burruss.God bless you and your Ministry. Thank you, for the message it was truly needed. Merry Christmas to you and the First Family! Merry Christmas to my spiritual parents! Thank you for sharing. Merry Christmas Freeman family! What an awesome, AWESOME holiday picture. I love it!!! Nice Christmas Pic! Mrs. Dee Dee, you are rocking that top!! Happy Holidays to you and the SOFCC family!! Merry Christmas 😀 To you & your family!!! Love ❤️ You all too……… my church family/my Holy Hookup. I am on board for change now & into 2017! Thankyou Dr. DEEDEE, happy hoildays to you and your family,I love watching your T.V. program, I also had the preasure of visiting the church in NOVEMBER, had a awesome time in the LORD, you are so inspirating to me, I hoping to see you in JULY, may God bless, from OHIO.Such a beautiful family. I have been traveling back and forth to help my mom tske care of my 99 yr old granny. I decided to move from Florida to help her. After getting everything moved she transitioned before I could make it home. I thought about Dr. DeeDee when she lost her mother-in-law when she said its time for celebration. My granny would have been 100 had she lived. She transitioned on 12/1. I love you and Dr. Mike because you all have been a GREAT inspiration to me. I just ask that you pray for me and my family and I pray that you and your family have a blessed holiday. God bless you all. Thank you Dr. Dee Dee and Pastor Mike for being such an inspiration. I listen to your messages and thank God for your lives. Your family was a blessing to my boys at the Darrell Green event and I thank you. When I saw the picture of my boys on Dr. Dee Dee instagram I was estatic. Out of all the people God picked your family for my boys. God is Awesome! Dr. Dee Dee, this was awesome! We love you and Dr. Mike so much. You exhibit the strength needed to be used by God in such a huge manner. Dr. Mike’s message touched me because my Mother died last year also. I had been feeling a little sad, but he helped me to change my perspective on it. Praying for you, Dr. Mike, your family, and your ministry. Happy Christmas to your lovely family! And what a great opportunity to express my love for two wonderful people Pastor Mike and Dr DeeDee who has impacted my life in the most positive way. I will forever be grateful and can truly say without you guys I would still be on that loss Journey. Wow! This is completely amazing. The simplest things we face gets our Lord’s attention and concern. My microwave went out and I’d usually say to my husband, babe this is that or such and such. These kinds of memories began to flood all at once and emotions responded. But God! Hallelujah! Holy Spirit reminded me all the promise He gave me after my husband went home and I was flooded with joy. Truly, my Father Lord heals broken hearts and bind up wounds. Even though my husband is not here with me, he’s home with my Father Lord and Knowing this always encouraged me to keep going forward, always abounding in the things of the Lord because this world no longer has anything to offer me… everything I do is unto the glory of my Father Lord. Whether I don’t get it all right I know I won’t get it all wrong either but no matter what, my Father Lord has my back all the way. Even more confirmed by Pastor Mike’s encouraging words. Thank You Father Lord for sending encouraging words. Pastor Mike and Dr. DeeDee be encouraged and continually blessed. Thank you all for the encouraging words. Enjoy these days called the holidays! Merry Christmas Pastor Mike and Dr. Dee Dee. Thank you for the encouraging and heart felt words. You all mean so much to me and my family. Thank you for being you. Love you all. Thank you very much for this word. My mom is in the hospital right now and we are praying for her to wake up. The Drs. reports haven’t been favorable but we are still praying and hopeful. My baby brother found her unconscious 11 days ago. They think she had a stroke but are unclear.My mom is the last living relative of her generation and she attended my last uncles funeral on Dec. 9. We are all trying to stay focused and not let this overwhelm us or get us down, this word was right on time. Pastor Mike I love the way you stated it that “your mother is spending her first Christmas in heaven”. What better way to see it? You two are definitely a power couple that this world needs. Thank you so much. Wishing you and your beautiful family a Wonderful Merry Christmas and a Happy New Year… Love you guys… Thank you for always sharing encourage words… You and Pastor Mike is awesome. Merry Christmas Dr.’s Mike and Dee! Thank you all for that message. When pastor Mike said this is mother’s first Christmas in heaven, I thought wow, I never thought about what you could be celebrating up there in heaven. Love you all! Merry Christmas to you and your family Pastor DeeDee♡♡♡ Praying for you Pastor Mike!! Peace on earth and goodwill to all men! Looking forward to 2017 year of Change! Merry Christmas & Happy New Year to Drs. Mike & DeeDee Freeman. I have really been blessed this year being apart of the blog. Thank you Pastor Mike for those encouraging words. May the peace of God surpass all your understanding. Be blessed. Thanks for the beautiful words of encouragement Pastor Mike and Dee Dee. We love you and wish you a Merry Christmas. Feliz Navidad, Fiestas y de la Estacion Feliz to you Pastor Mike, Dr DeeDee & your Family. Love the Picture and background noise of the Grandkisses 🙂 Short Story: my Mother went Home to be With the Lord Christmas day 1999 & my Father on Thanksgiving day 2000;for years I was sad,grieving and felt lonely along with my 6 siblings.God spoke to us to live their Life with Beautiful Memories of the Full Blessed Life they Lived in Him. So Every Holiday Season We are Joyful&Thankful:) that our Mother went Home to join in the Blessing of the Birth of Jesus and our Father entering His Courts with Thanksgiving and His Gates with Praise; Look how God turned it from Grief to GLORY,We Praise Him Evermore!! !So this Holiday choose Joy, Smile&Laugh,I Do :)Thank you, my Shepard Pastor Mike for Sharing this Word of Encouragement to All of US. Love and Huggs to You All, thank you Dr DeeDee, my Beautiful First Lady for the opportunity to Share&Encourage others. MERRY CHRISTMAS TO YOUALL. I want to say that Christmas was alays the most exciting time in my house until I lost my husband my sweetie he loved buying all the gifts and boy did he decorate a lot he was so happy he told me that he would give me and the girls the desires of our heart oh I loved it we did a lot of shopping together for them so much fun well that changed my daughters now do all the shopping ans I get all the gifts I love it they make sure I am happy no grief just total happiness we always have Christmas breakfast together I love I am happy because I choose to be happy I have had some mountains in my life to keep me rounded and helping me stay in the word of God I am changing too I am happy and I clapmy hands and say thank you Jesus. Merry Christmas!! Thanks to you Pastor and Dr Dee Dee for this message. I appreciate your hearts more than words can say. Love you. Uber hugs. Thanks for those encouraging words Pastor Mike. This is our first Christmas without our father. I am choosing to do exactly as you have encouraged us to do. My prayers for you and Pastor DeeDee and the family to have a Merry Christmas!!! Thanks for sharing!!! Happy New Year to you and your family. My husband and I met you this summer at the convention in Washington D.C. We brought our grandchildren to the camp while we attended the conference. It was a wonderful experience for them as well as us. Your son in law Kevin Borders was a great inspiration for them. They took pictures with him. They met a young man in the camp that attends your church regularly. He and my grandson are still keeping in touch with each other. They have formed a bond. He told us he wants to become a minister also. Your ministry has been a blessing to our family. God bless you and your family in the upcoming year. I just love both of you!!! The Walters’ Family Holy-Hook Up. Only glory and eternity will tell how you both have impacted our lives. I loved this message! My mother passed away on April 5th, 2015, and this was a reminder to think about how she is living on! I SO love how our Pastor shares his heart of compassion with sincerity and POWER! This video affirmed and reaffirmed some things in me as I focus on the promise, not the process of dealing with my mom transitioning to heaven. Thank you Dr. DeeDee for this! Love You!